Could the Femoral Nerve be causing my pain? 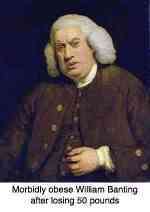 I have been experiencing a radiating pain from my hip through my buttocks to my groin down my quadriceps. It started while I was standing brushing my teeth and has continued since. It makes sleeping difficult. I am continuously looking for the right position to sleep in that doesn't trigger the radiating pain. Sleeping on my side is painful, when I turn onto my back it eases off but only turns into a duller pain? Does this sound familiar? Yes, very familiar. There are also a lesser known group of nerves known as the Superior Cluneals that travel from the upper lumbar spine, supplying the buttock and wrapping around to the groin. However, it's important to differentiate between Cluneals, mainly sensory, and the Femoral nerve which is motor to the leg, affecting the quad muscle. It's a technical difference, however. The treatment is based on the spinal fixation, if there is one, checking the sacroiliac joint, adjusting them, working on the soft tissue and doing rehab. Follow the link to Maignes syndrome exercises especially. However, accept that this fairly speculative. Hip problems too must be considered with groin and thigh pain, and occasionally internal organs can affect the Femoral nerve too. Time to see a local chiro. 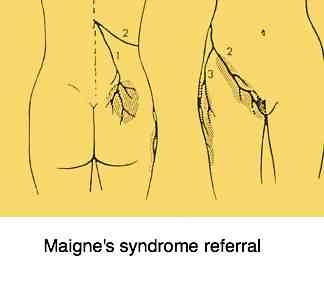 When you make an appt, ask if s/he knows about Maigne's syndrome. If not, go next door. X-rays may be necessary depending on your history, though I'm using them less. Ionising radiation isn't good.